Need an idea for that wild turkey meat stored in your freezer? 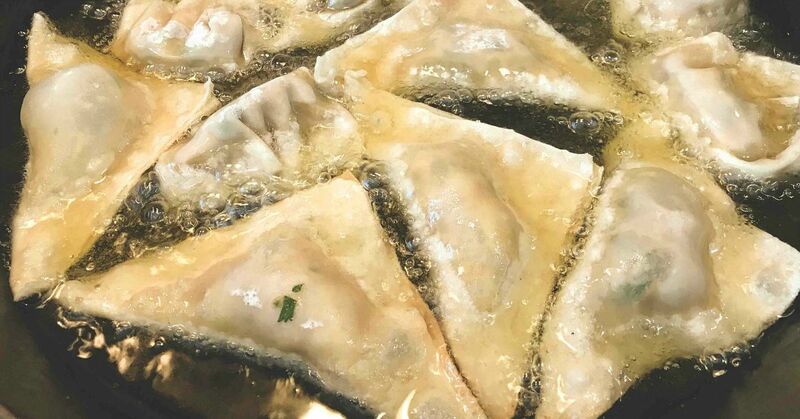 Here’s a quick and easy recipe for wild turkey wontons (Chinese dumplings). It might be deer season, but if you still have turkey in your freezer, then it’s time to put it to good use. A wonderful way to use turkey is to grind it. The burger or grind produced is lean and can be used in several recipes. Breast meat and thighs work best because the legs have lots of fine bones that aren’t easy to trim out. Wontons, or Chinese dumplings, are easy to make, versatile in the various ways you can cook them, and can be an appetizer or part of the main meal. Wontons are easy to make and freeze, meaning you can take them to hunting camp or whip up a bowl of wonton soup in a matter of minutes. The recipe allows for protein substitutes, so don’t be afraid to make venison, wild hog, foraged mushrooms or even black bear wontons. In a large bowl, combine the meat, ginger, garlic, green onions, cilantro, soy sauce, oyster sauce, white pepper and cabbage. Whisk the egg and water together to make the egg wash.
Lay out several wonton wrappers on a dry workspace. Add a single tablespoon of the meat mixture to the center of the wrapper if you plan to boil them, or 1 teaspoon if you want to fry them. Brush the egg wash on two edges of the wrapper and fold to the corner without egg wash. Press gently to seal the wonton. Place folded wontons on a dry plate or baking sheet and cover with plastic wrap to avoid drying out. You can cook immediately or freeze them separated on a baking sheet to store later in a sealable bag. To fry wontons, add 1 inch of cooking oil to a wok or Camp Chef cast-iron fry pan. Heat the oil until it reaches 375 degrees. Add a few wontons at a time to the oil to maintain oil heat. Turn wontons once or twice until they are golden brown. Remove the wontons from the oil and place on a rack over a baking sheet, or on a paper towel so excess oil can drain away. To boil wontons, bring water or soup broth to a rolling boil and place wontons in one at a time. Stir to ensure they don’t stick together. Wontons will float when done, in about 5 minutes from frozen.